If the Öresund strait freezes and a Swede walks over to Denmark, Danes are allowed to him him with a stick. 1658 karl/charles X marched over the ice, the ice had not been frozen for hundreds of years before or after.. so it really suprised the danish army. edit: Someone told me karl X marched over "Great Belt" not öresund. Great belt is right. He came in the back way, having taken a detour via Poland, various bits of Germany, etc. There is a street in what is now the north-west outskirts of Copenhagen called "Svenskelejren" - this was where the Swedish army camped during the siege of Copenhagen. If there was ever such a "stick" law, it was probably repealed long ago. I've never heard of it. What is perhaps interesting, is that one of the most popular destinations for Swedish tourists to visit in Copenhagen, Nyhavn, has a Swedish past. It's a small harbour area with the traditional attractions of women, beer and spirits (at least historically, now it's more food and beer). The harbour basin was dug out by Swedish prisoners of war. During WW2 the area of Nyhavn was off limits to German military owing to its notorious reputation. It had long been a "leisure centre" for sailors and seekers of a Bohemian lifestyle. It's quayside buildings now occupied by upmarket eating establishments once were a centre of the Danish resistance. Sweden has reduced the length of prison sentence for some drug offences. Consequently it has a declining prison population. Faced with potential prison overcrowding the Norwegians have contacted Sweden about sending some criminals over the border to be locked up. The initial response from Sweden was lukewarm. some I knew, some I didnt. That video was incredibly annoying, and I hate that so much that is technically interesting to know is presented in that way. I knew most of it, except the vikings being hired as army men and tax collectors. Ruotsi is the name used for Sweden in Finnish. The people from Scandinavia were known as Rus and the Anglo-Saxons referred to them as Danes. The word for Viking used by Germans also = pirate. Faced with potential prison overcrowding the Norwegians have contacted Sweden about sending some criminals over the border to be locked up. The initial response from Sweden was lukewarm. Doubtless concerns were mooted about "cruel and unusual punishment". Apologies for incredibly large image, I'm linking to a Swedish news site. They're having a fresh round of Russian sub -hunting in the Stockolm area right now. Nessie on holiday, you say? Back in the 80's there were similar sightings. 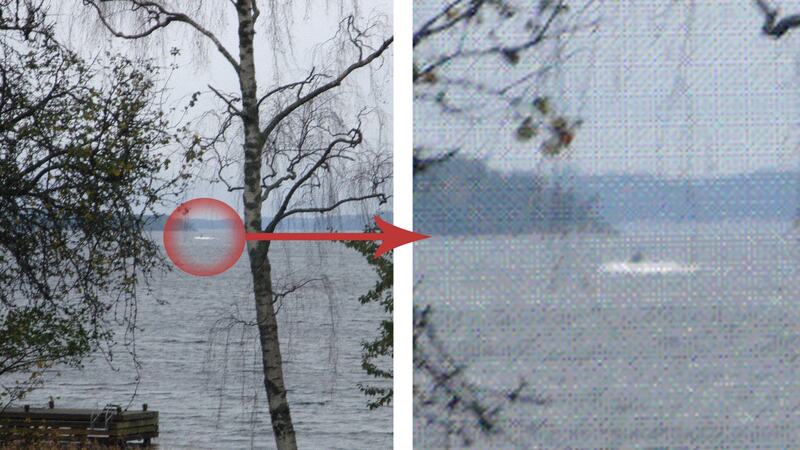 All talk of hoaxing and monsters was silenced when they found a Russian sub firmly aground "on the rocks", as it were, of the Swedish coast. The sub was of a type that NATO refers to the Whiskey class. Oh, how the newspapers loved it. And here's one more QI fact about Sweden? The first king of the Swedes is..?? The current king, Carl XVI Gustav. He awarded himself this title in 1973 on succeeding his grandfather to the throne. Previously all Swedish kings were known as 'Kings of the Swedes, Goths and Wends'. Queen Margrethe II of Denmark made a comparable change to her title upon ascending the throne in 1972. Her father Christian X had ruled as King of Denmark, the Wends, and the Goths, but she adopted the style Queen of Denmark. The Wends were never one group of people. Rather, it was a general name for any people of Slavic heritage living in otherwise Germanic territory. Most Slavs in Germanic regions have been more or less assimilated over the last thousand years, much as surnames of Slavic origin are still common in Austria and Eastern Germany. There are still perhaps 30,000 people in Eastern Germany who speak one of the two Sorbian languages (Dolnoserbski or Lower Sorbian and Hornjoserbšćina or Upper Sorbian), although almost all of these people speak at least two of Czech, German, and Polish as well. Those people are the last of the Wends, although they don't much care for the term. At no time have the Sorbs been subject to either the Danish or the Swedish sovereign, and not since the Wendish Crusade of 1147 has either Scandinavian sovereign even expressed an interest in that direction. That chimes with my experience of living there. Polite, but reserved.